This press trip will generate over 700 thousand media impressions within Spain and its surroundings; the focus was on lifestyle, gastronomy, nature and travel. 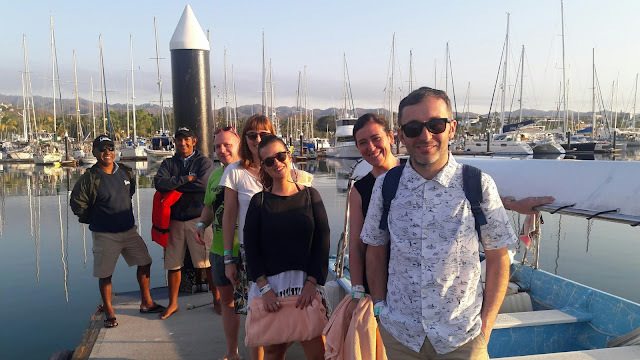 The Public Relations desks of the Riviera Nayarit Convention and Visitors Bureau (CVB) and the Puerto Vallarta Tourism Trust organized a press trip for four Spanish journalists to close out the winter season. The trip lasted from February 27 to March 5, 2017. Once their visit in Puerto Vallarta came to a close, the guests visited the Riviera Nayarit region, including Nuevo Vallarta, Flamingos, Bucerías, the Marina Riviera Nayarit in La Cruz de Huanacaxtlee, San Pancho, Punta de Mita, Higuera Blanca and Sayulita, all part of Mexico’s Pacific Treasure. The objective was to generate different articles for their readers, who enjoy reading topics related to lifestyles, gastronomy, nature, travel and more. Amaya García, editor of the “ZEN” and “Ocholenguas” supplements for the Diario El Mundo, which are dedicated to wellbeing, lifestyle topics and travel, with a weekly circulation of more than 139 thousand issues. Jose Maria de Pablo is a freelance writer representing Revista de Viajes, with over 80 thousand issues printed monthly. Writer Laura Sanchez came on behalf of the weekly magazine, El Mundo, specifically the “Papel” special section. Javier Sanchez, a freelance writer on several media, among them the “Buenavida y Tentaciones” segment of the El País newspaper, Cocinatis, Vanity Fair, Yahoo! and the Revista de Turismo SAVIA, which will together offer 500 thousand impressions with his articles.